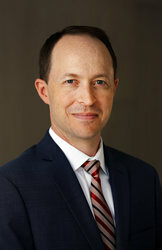 Todd Harrison is the director of the Aerospace Security Project and the director of Defense Budget Analysis at CSIS. As a senior fellow in the International Security Program, he leads the Center's efforts to provide in-depth, nonpartisan research and analysis of space security, air power, and defense funding issues. He has authored publications on trends in the overall defense budget, military space systems, civil space exploration, defense acquisitions, military compensation, military readiness, nuclear forces, and the coast of overseas military operations. Mr Harrison served as a captain inthe U.S. Air Force Reserves. He is a graduate of the Massachusetts Institute of Technology with both a B.S. and an M.S. in aeronautics and astronautics.